When I was a little girl my mother opened a small gourmet shop in a very fancy high -end clothing boutique in downtown Toronto. In the 1970’s this was a very new concept. The shop was opened a few years after Bonne Maman Jams came to be and my mother just had to have these wonderful jewel-like jars on her shelves. I became addicted to their Cherry Preserves then and it is still my go-to flavour. 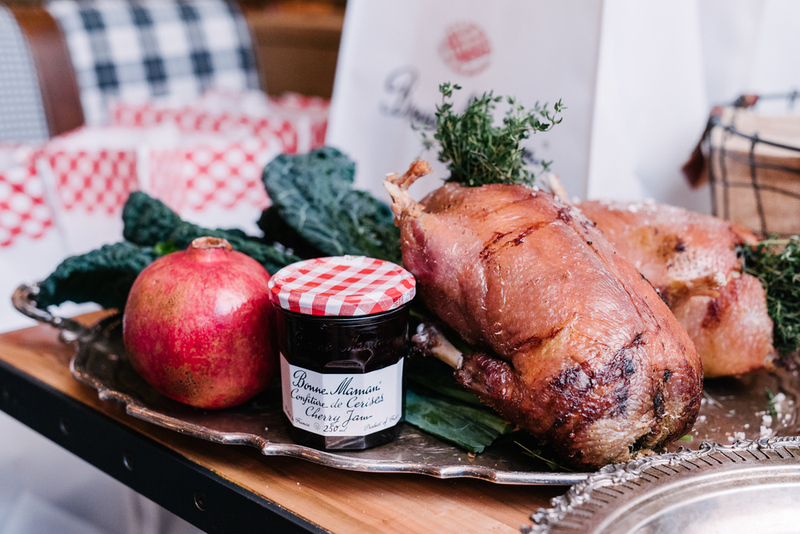 Fast forward and I am a Cordon Bleu Chef and I still love Bonne Maman Jams, but now I also love them for their clean flavours and versatility. They are all natural and packed full of fruit, which lends them to so many sweet and savoury dishes. I am a fan of washing out the empty jars and using them as drinking glasses. I believe there is something terribly French about drinking delicious Beaujolais, when friends drop by for dinner, out of these sweet jars. I am sure I am far from the only one who embraces this tradition. 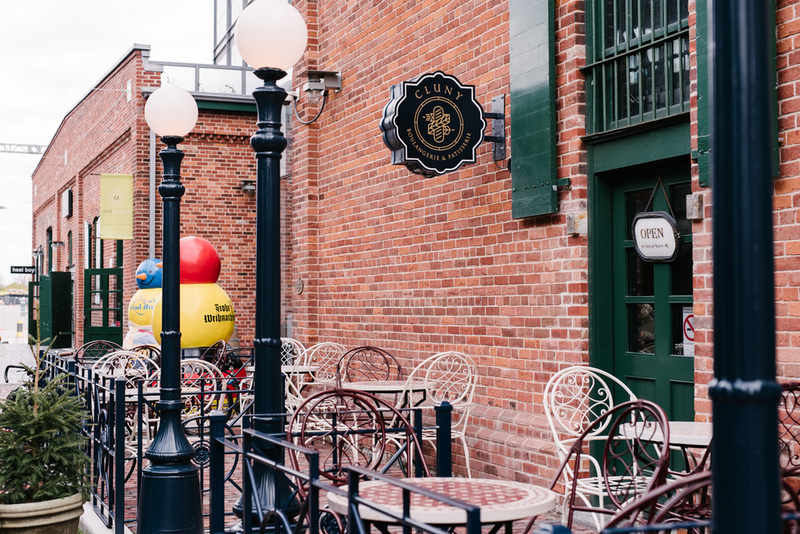 With my passion for Bonne Maman I was fortunate to be offered an opportunity to host a Bonne Maman Brunch at one of Toronto’s finest establishments; Cluny Bistro in the heart of The Distillery District. Five lovely bright women all who have terrific Blogs joined me, along with Bonne Maman’s representative Chef, Christine Tizzard, who was a great asset to our already dynamic table. Despite the fact that “good quality fruit was hard to find in Newfoundland,” all jellies and preserves were homemade. 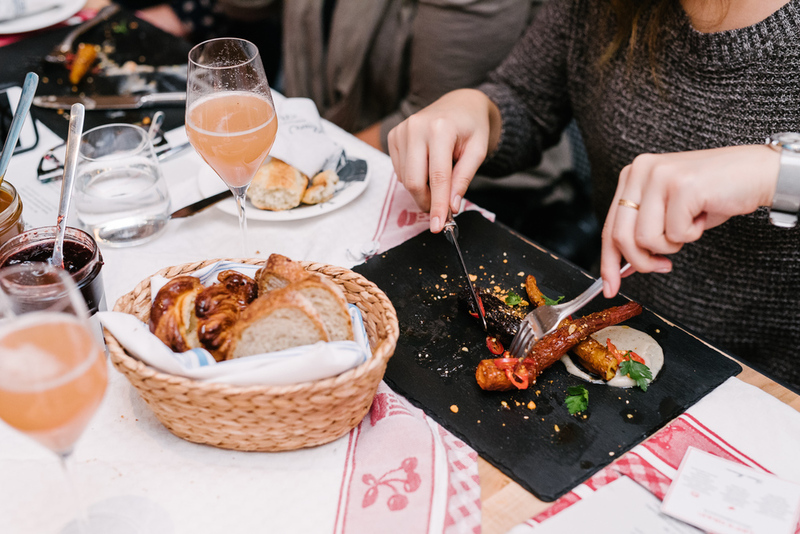 It was on the chef’s first trip to France that she discovered Bonne Maman. Cluny is a very Parisian room with soft beige hardwood floors, blue and white patterns on napkins and gorgeous wood tables. 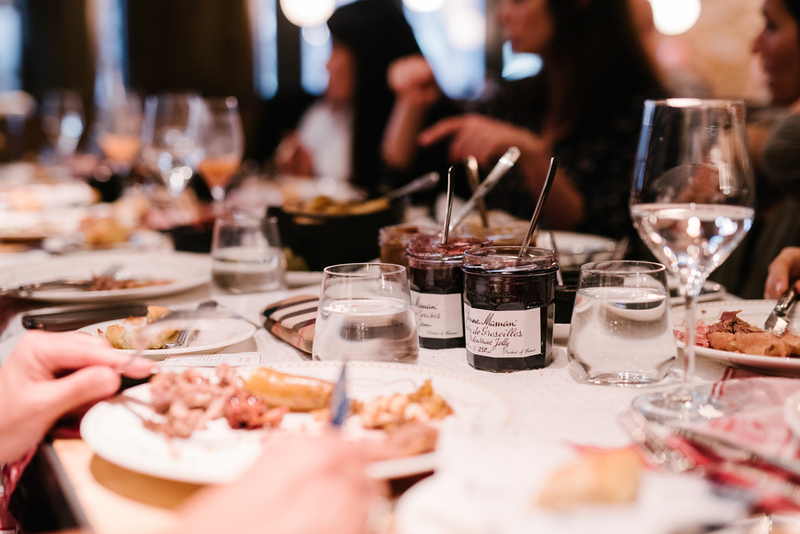 Upon one such large trestle table were sparkling jars of; Bonne Maman Cherry, Red Currant, Chestnut and Dulce de Leche Jams up and down interspersed with petite individual baguettes, pure heaven. 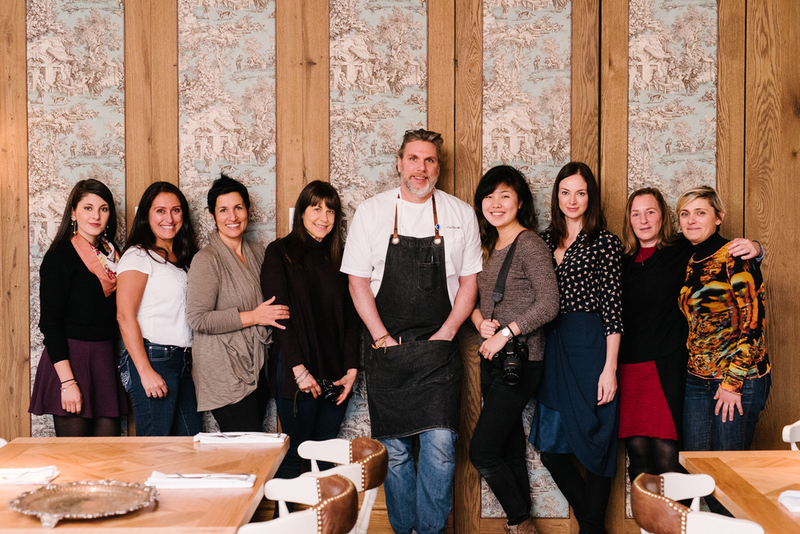 After Strawberry and Mango Mimosas were poured we got down to the real business of having a top Toronto chef, Paul Benallick, prepare a Four Course feast utilizing Bonne Maman Jams. Cluny Bistro Executive Chef Paul Benallick at work. I was excited because as a chef you are often asked to prepare dishes in a certain way using all sorts of products. Personally, I love this, as it is always a fun challenge, and this time, Chef Benallick was up for the culinary dare. It is not easy to use sweet products in savoury presentations and I must say Chef surprised me with his deep creativity. 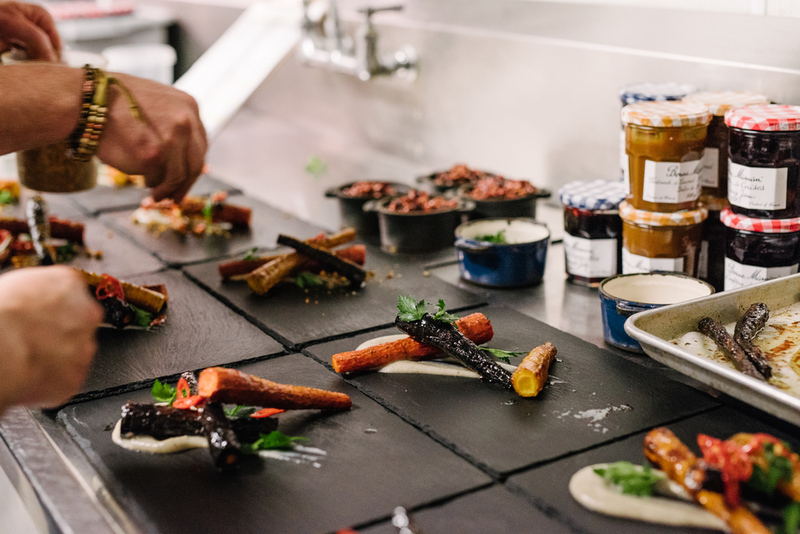 Cluny’s Executive Chef Paul Benallick emphasizes the bistro’s sourcing of quality hand-picked ingredients and attention to detail. “It’s not tweezer food. It’s interesting, good French food,” he says. 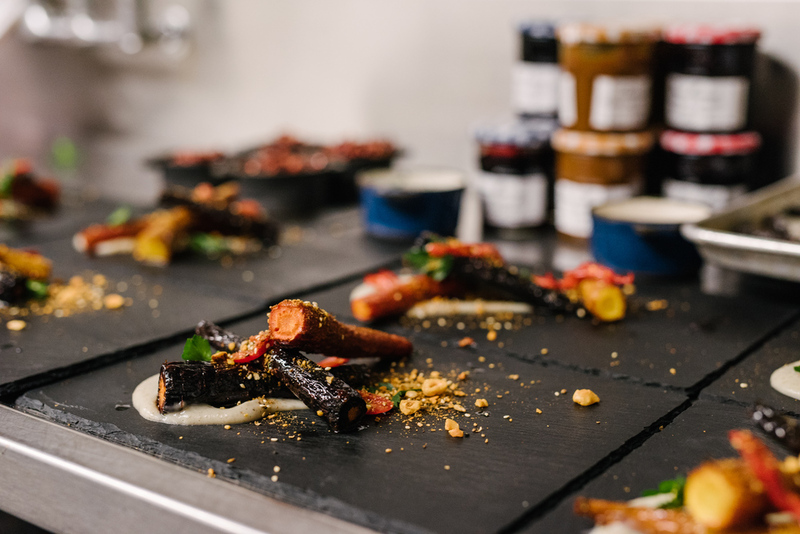 We began with a black slate plate that had colourful Heirloom Carrots, which were roasted in Bonna Maman Red Currant Jelly. This was such a great idea and a fun play on candied carrots. 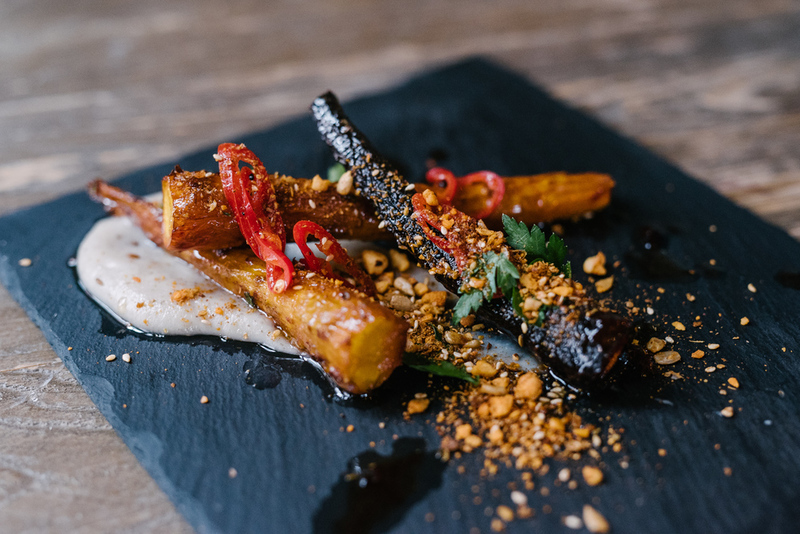 The carrots were served with crushed toasted Hazelnuts and a Sunchoke Puree. Next up was, without a doubt, my personal favourite dish of the day, and, it so happens, Chef Benallick feels the same way as it is now on the Winter Menu at Cluny. Grilled Halibut Cheeks in a rich French-style Curry sweetened with Bonne Maman Chestnut Jam served with roasted Acorn Squash, lightly pickled shaved raw Acorn Squash and steel-cut Grits. I was really filling up but I can always find room for Roasted Duck. Chef Benallick gets many of his products; meat, fruits and vegetables, from local small farms, and this is something we can all respect. This goes for his glorious ducks, which are on the menu for as long as they last, so do go and have a visit. 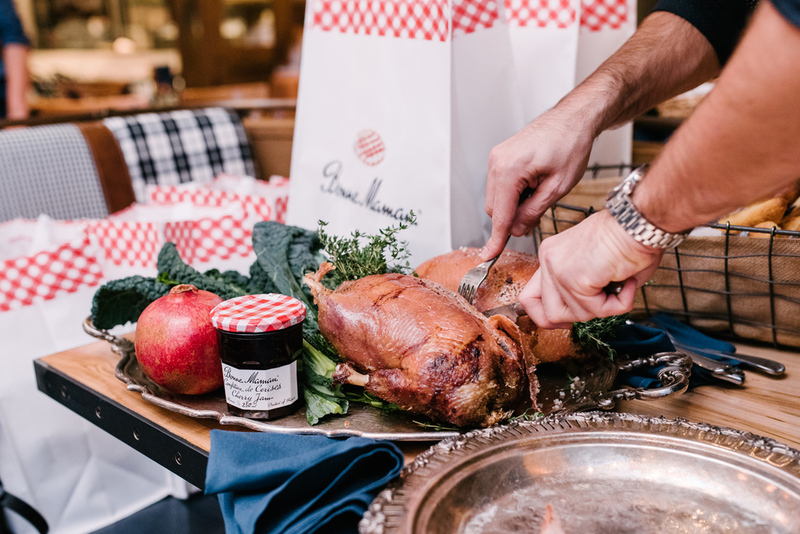 These golden birds were presented table-side for carving and were served with a Chutney of Bonne Maman Cherry Preserves and toasted Spiced Walnuts. This is a dish I will be stealing. Sorry, Chef - it was that good. Bowls of buttery Confit Fingerling Potatoes and a Brussel Sprout, Quinoa and Ricotta Salad were welcome additions to the plate. Last, but never least, was this girls sweet dream. Profiteroles made by one the city’s best bakers were stuffed with Bonne Maman Chestnuts Jam, garnished with Milk Chocolate Chantilly and crushed Candied Hazelnuts. There was also a glorious smear of Bonne Maman Red Currant Jelly and it added a welcome bright note to a very sweet dessert. I am looking forward to playing with my own Bonne Maman Jams in the kitchen and seeing all the fun that I too can have .